First listing in the complex in 3+ years! Conveniently located with proximity to BART, Downtown Walnut Creek, award winning schools, trails, parks, shopping, Highway 24 and public transportation. This home has it all! Enjoy a single-level floor plan with an expansive living room, two spacious bedrooms, two updated bathrooms, a remodeled kitchen, laminate flooring, crown moldings, dual-pane windows, upgraded HVAC system, newer water heater, abundant storage, two parking spots, front patio and a resort-like backyard with your very own fruit trees. Experience quintessential Walnut Creek! Directions:Ygnacio Valley Rd. > Walnut Blvd. SchoolsClick map icons below to view information for schools near 2570 Walnut Blvd Walnut Creek, CA 94596. Listing provided courtesy of Elena Mendelson, Compass. Home for sale at 2570 Walnut Blvd Walnut Creek, CA 94596. 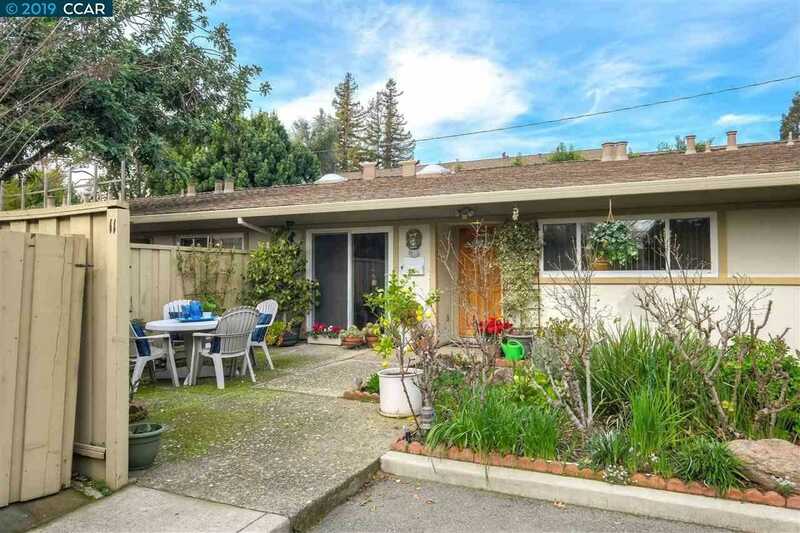 Description: The property at 2570 Walnut Blvd Walnut Creek, CA 94596 with the MLS# 40852953 is currently listed for $522,000 and has been on the Walnut Creek market for 72 days. You are viewing the details of the real estate listing from the East Area MLS at 2570 Walnut Blvd Walnut Creek, CA 94596, which features 2 bedrooms and 2 bathrooms, and has approximately 1044 sq.ft. of living area.